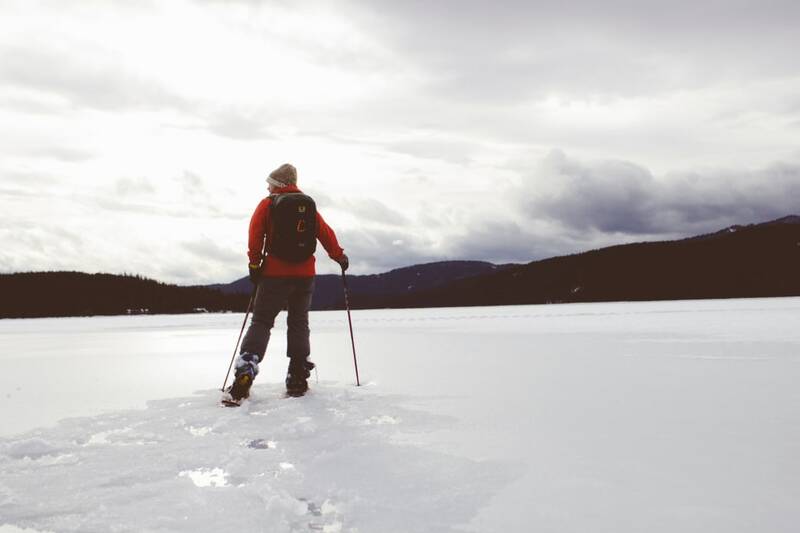 With a pair of snowshoes strapped to your feet, you’ve got a whole new world to explore - and it’s as easy as walking. 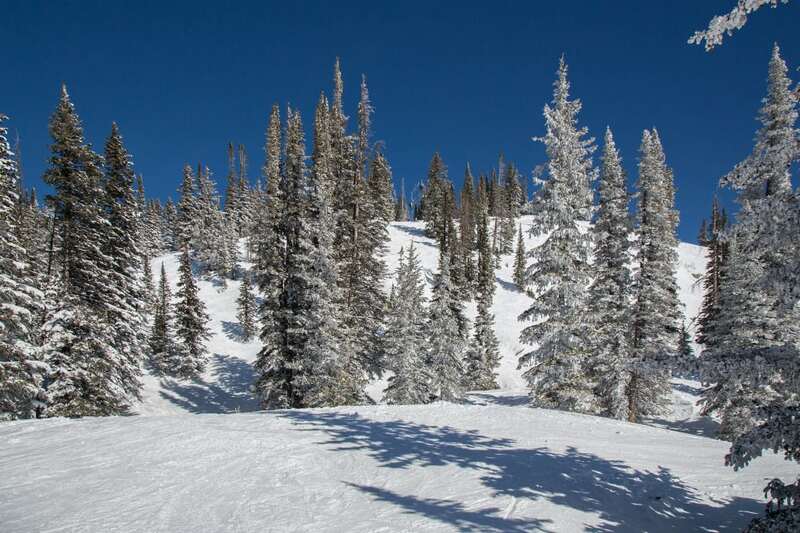 When it comes to selecting the ultimate routes for wandering the Narnia-like wonderland in and around Steamboat Springs, Colorado, these trails are the area’s cream of the crop. Here are nine of our favorite places to enjoy this rewarding winter sport. Sharing the same parking lots (there’s a $5 fee) as Fish Creek Falls, located about four miles from downtown Steamboat, park at the upper lot and start walking toward the lower lot. Much less frequented than Fish Creek Falls, this trail offers striking views of the entire canyon, including a distant glimpse of the falls, which will be frozen into crystalline plumes. The hike begins on a narrow trail that switches back and forth through snow-covered shrubs, opening to sprawling views of the opposite canyon walls that feature thick forests of pine trees. After entering a basin surrounded by aspen trees and climbing around 800 vertical feet, the trail ends at the abandoned uranium mine, built in the 1950s. Come back the way you came, enjoying the seemingly all-new views of the canyon as you go. Yampatika offers a free snowshoe tour on the Uranium Mine Trail at 10 a.m. every Friday through March 15. Situated directly across the Yampa River from downtown Steamboat, Emerald Mountain is an easily accessible winter paradise for snowshoers. Begin by hiking up Blackmere Trail, where you can access a number of more narrow trails (Lupine and Morning Gloria are great choices) or stay on Blackmere as you weave your way up Emerald Mountain. Meandering in and out of aspen groves, you’ll share the terrain with the occasional backcountry skier or fat biker and glimpse the famous ski trails of Howelsen Hill. The top of Quarry Mountain is a prime destination with a delightful bird’s eye view of downtown, Steamboat Resort and the entire Yampa Valley. The trip up Blackmere to Quarry is just shy of two miles and 1,000 vertical feet. For a longer trek, continue up Lane of Pain to the radio towers. There is also the option of buying a lift ticket and taking the Barrows Chairlift part of the way up. Additionally, Yampatika offers a Snowshoe Tour on Emerald Mountain at 10 a.m. every Saturday through March 16 as well as a full moon tour in February for $20. This serene trail is located along the Yampa River 12 miles southeast of Steamboat, accessed via Highway 131 and Routt County Road 18, which in the winter, is also used by snowmobiles and backcountry skiers. The entire trail stretches for 12 miles and climbs more than 2,700 vertical feet. But because it’s an out-and-back route, you can simply turn around whenever you want. The first mile and a half of the trail is stunning and fairly steep, climbing about 800 feet and following Sarvis Creek through a small canyon lined with lodgepole, fir, and spruce trees. The trail crosses the creek and eventually turns away from it at about 7.5 miles, connecting to the lonely but striking wilderness of Buffalo Park. Dry Lake Campground is located on Buffalo Pass, less than six miles from downtown. Wandering into the wilderness from the campground makes for memorable backcountry exploration, as families of moose can sometimes be spotted amid the pines and meadows. There are a handful of new trails here, but a fabulous snowshoe route is the 1.3-mile-long Panorama Trail, which zigzags up and around gentle hillsides with views of the Flat Tops and the Continental Divide. The end of the trail meets with Spring Creek, where you can take a left and make a 1.5-mile loop back to the campground. The Spring Creek trail is another, more popular option, descending 3.6 miles to Spring Creek Road on the outskirts of town. About a 30-minute drive from Steamboat, lying just north of Hahns Peak is this peaceful and seemingly endless white oasis of open meadows. Speckled with pines and aspen groves, this relatively flat area offers views of the mighty, solitary mountains nearby - Hahns Peak to the east and Iron Mountain to the north. Known in the summertime as Prospectors Trail, avid snowshoers can venture farther off of the mild Trilby Flats upward and across Independence Creek toward Hahns Peak. Rabbit Ears Pass is a lush winter wonderland popular among all self-propelled winter recreationists, from snowshoers to skate skiers. If you love the sound of your own “crunch-crunch” footfalls, it’s just about all you’ll hear on the West Summit Loop 1A (note that there are also 1B and 1C trails), which takes you away from the Nordic tracks along a rolling route weaving among the heavily flocked pines and powder-filled meadows. As the dense trees sporadically open, take in the distant sight of the Yampa Valley below and the Flat Tops Wilderness all around you. Located about 30 miles north of Steamboat Springs is the spectacularly snowy landscape of Steamboat Lake. The day use fee is $7, but the solitude is well worth it, as numerous flat trails take you various distances around the lakeshore. The lake itself is typically frozen all winter, and you’ll see the pointy, perfectly triangular Hahns Peak looming in the distance. A 1-mile loop called the Tombstone Trail is ideal for families while longer trekkers might enjoy the snowmobile route that wraps for seven miles around the entire lake. Surrounded by skiers and snowboarders, finding peace in the woods of the ski resort brings a distinctive sense of accomplishment, and there’s no question that you’ll notice wildlife and the intricate gems of nature while traveling on snowshoes. Keep in mind that all of the resort’s dedicated snowshoe trails are located at the top of the gondola near Thunderhead Lodge and a foot passenger ticket ($25 for adults) is required. The most relaxing option is the mile-long, relatively flat Roundabout Trail. The steeper but spectacularly beautiful Chisholm Trail is an out-and-back trek winding 700 vertical feet uphill from Thunderhead Lodge to Four Points Lodge. The 4-mile loop on Duster Trail takes you on a gentle, serene climb (less than 300 feet) to Rendezvous Hut. A fantastic way to get your bearings is by signing up for a free 1.5-hour snowshoe tour, offered daily (arrive at 12:30 p.m.) at Gondola Square Ski & Sport. This epicenter of winter activity is located 9 miles south of downtown Steamboat Springs and functions as a private golf resort in the summer. In winter, it is abuzz with families sledding, Nordic skiers training, and fat-tire cyclists riding. A cobweb of dedicated snowshoe trails—more than 5 miles—winds around and across the lake. Wandering in this area gives one the sensation of clopping along a pristine white universe. The terrain is mostly flat amid the panorama of hills and peaks. The day-use fee is $22 for adults. Snowshoe rentals are available on site. So get out there and enjoy the winter. Snowshoe rentals are available in Steamboat Springs at Backdoor Sports, Gondola Square Ski & Sport, Haymaker Nordic Center, Ski Haus, Straightline, and One Stop Ski Shop. Written by RootsRated Media for Steamboat Springs Chamber.